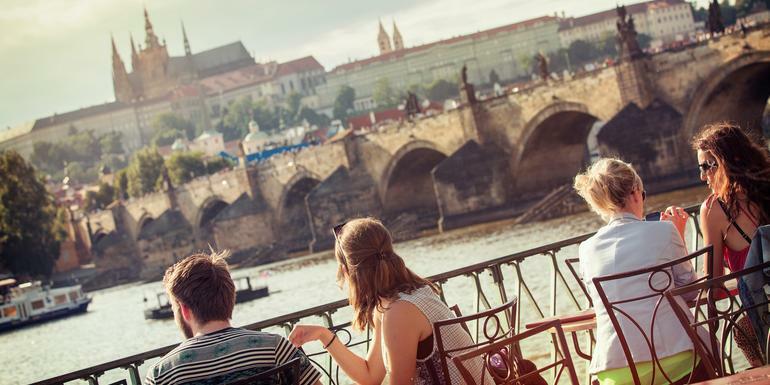 Explore Prague’s Old Town and the charming medieval gem of Ceský Krumlov, Visit the Berlin Wall with a local historian, Take a dip in soothing waters at a thermal bathhouse in Budapest, Prepare a traditional Transylvanian meal with a local chef. Your Foodie Moment: Hotel Sacher Visit and dessert, Vienna. Tour Prague’s old town including the Jewish quarter, clock tower, Charles Bridge, and Wenceslas Square. Visit the historic Hotel Sacher and sample the Sacher Torte. Guided historic tour of Budapest. Visit to the Salt Mine terraces in Egerszalok. Guided visit of Salina Turda Salt Mine. Sighisoara old Town Visit. Black Church visit in Brasov. Guided tour of Bran Castle. Snagov Monastery visit. All transport between destinations and to/from included activities.